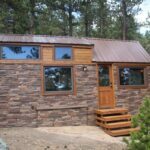 The Monarch is a rustic cabin with a bit of modern flair with its exterior metal accent pieces. 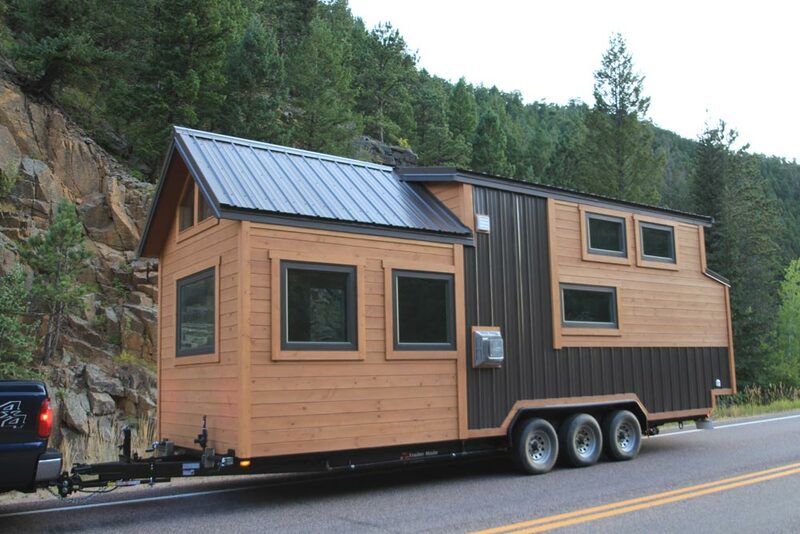 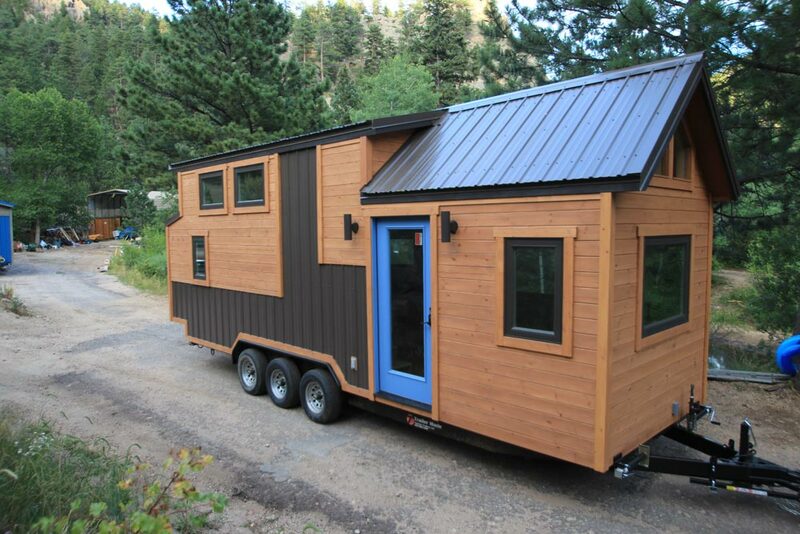 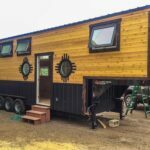 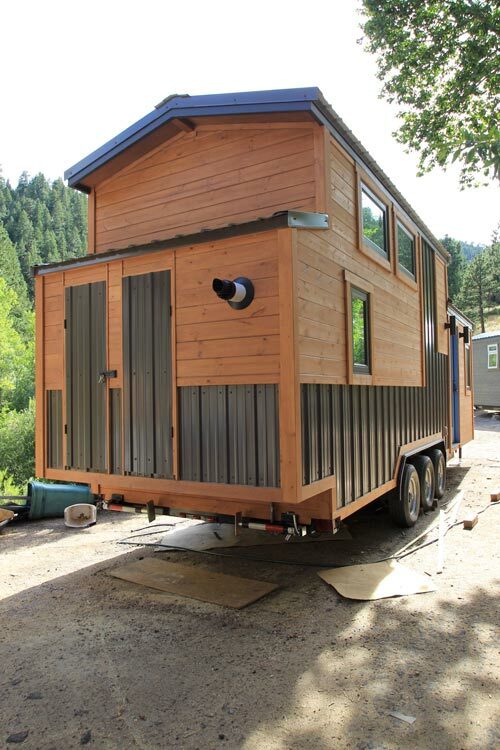 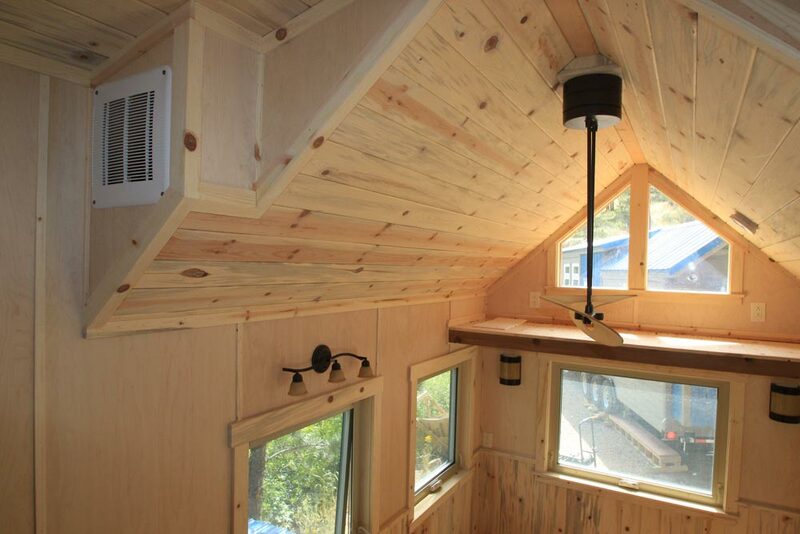 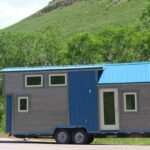 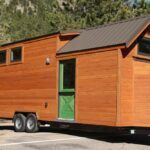 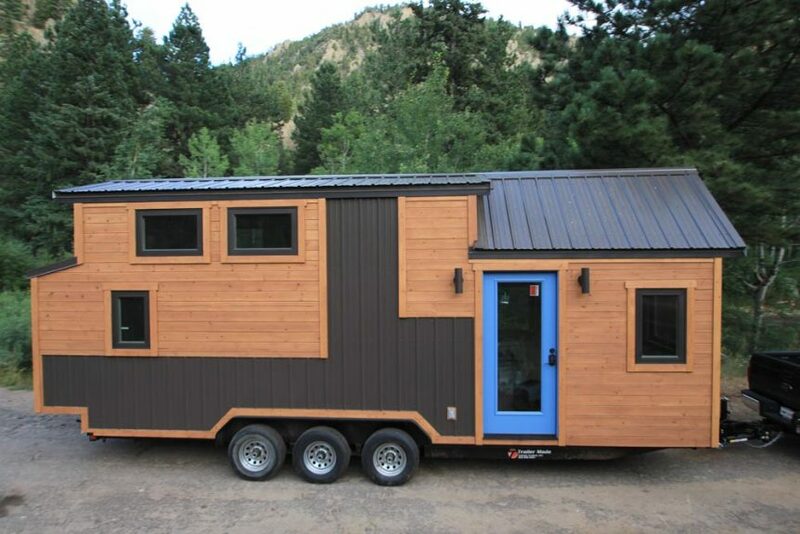 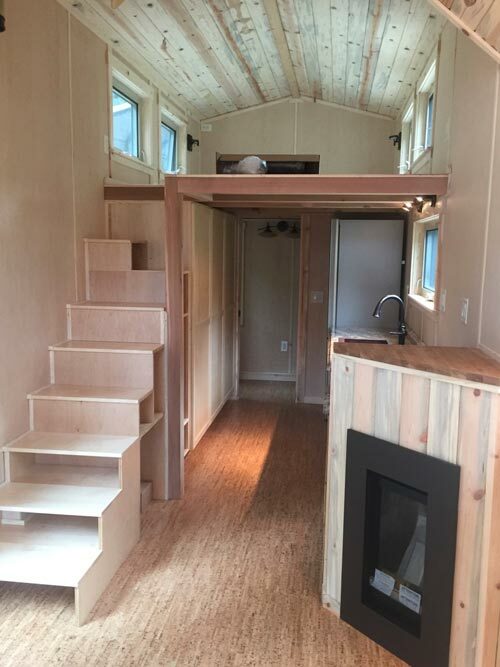 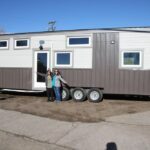 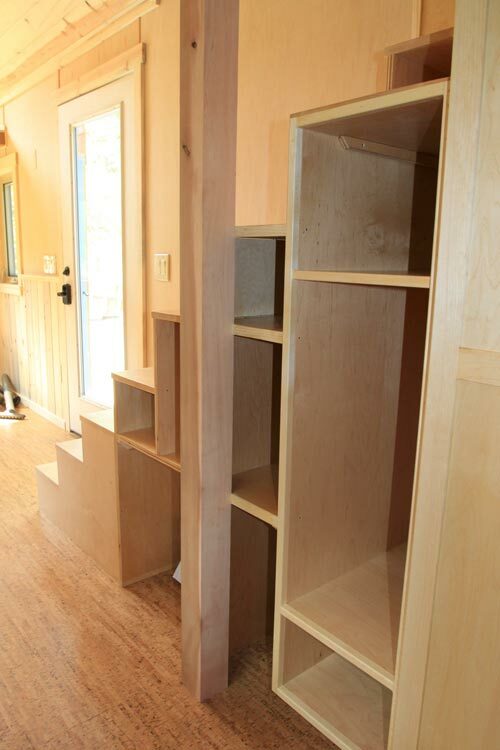 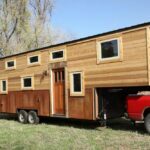 The 26′ tiny house on wheels was built by SimBLISSity in Lyons, Colorado. 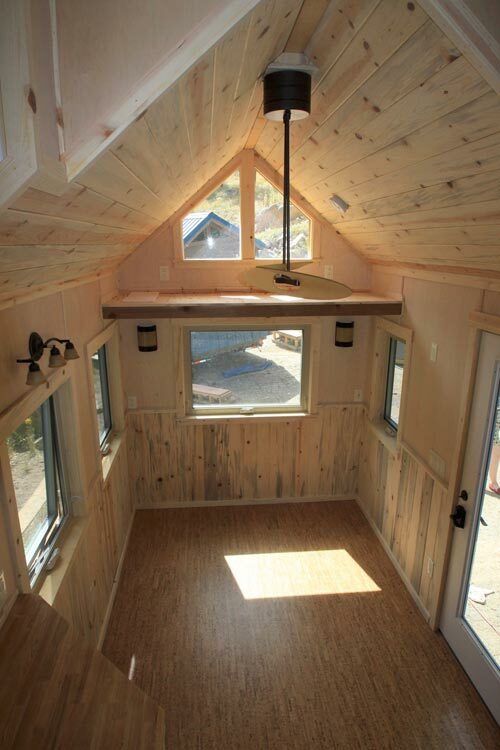 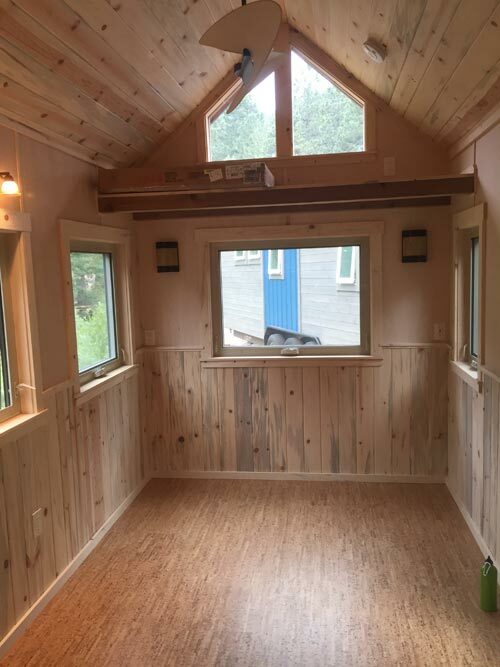 Inside the Monarch you’ll find cork flooring and beetle kill pine used for the wainscoting and ceiling. 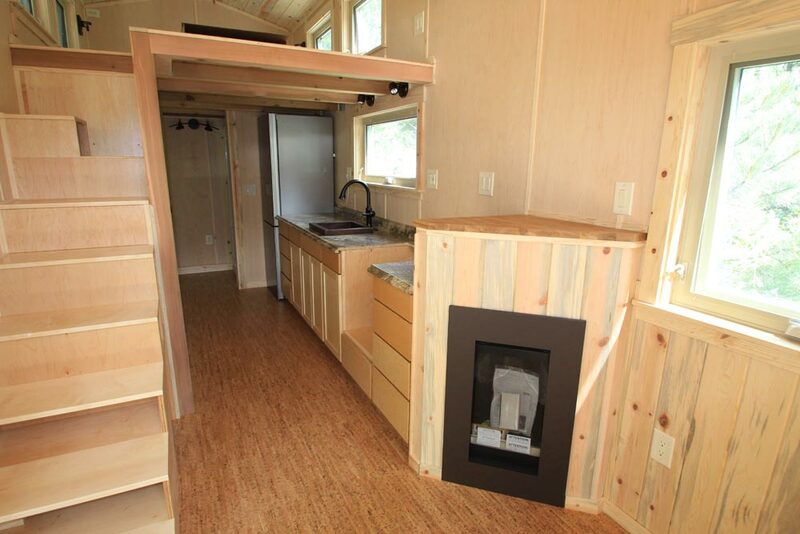 A fireplace sits at the end of the kitchen counter and faces the living room. 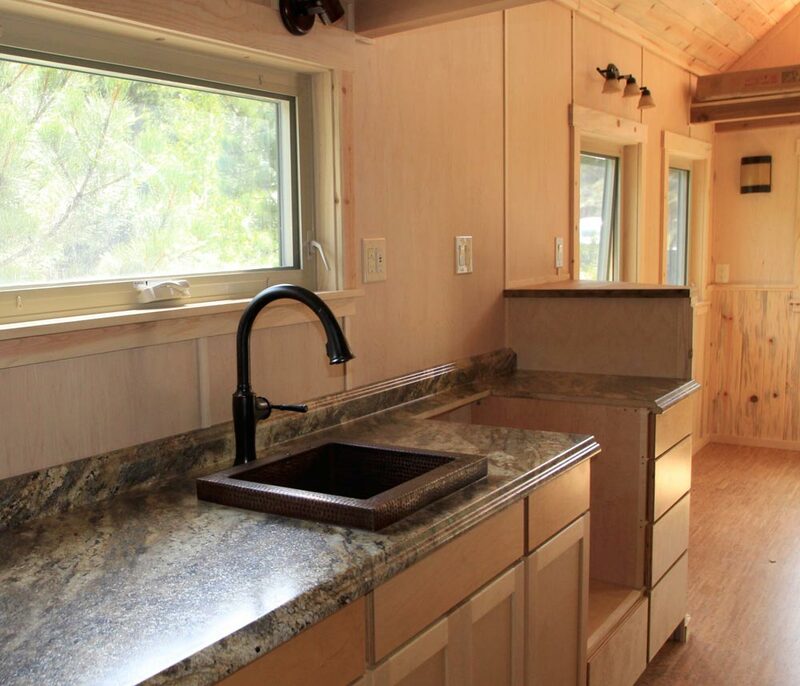 In the kitchen is a large three door pantry, full refrigerator, and a drop-in stove and cooktop. 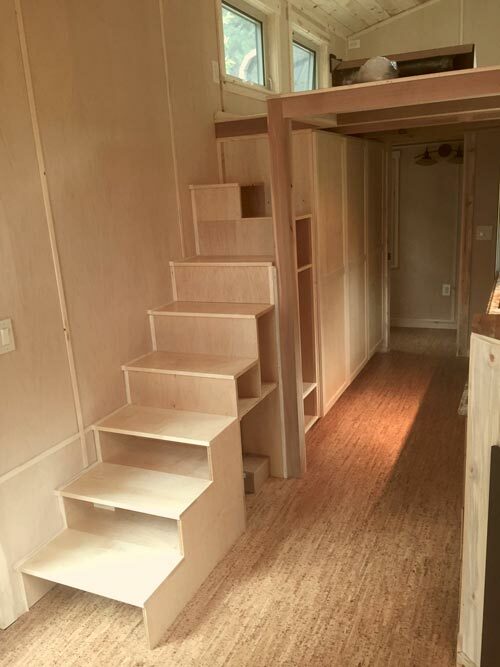 There are two lofts: the bedroom loft accessed by storage stairs and the storage loft accessed by ladder. 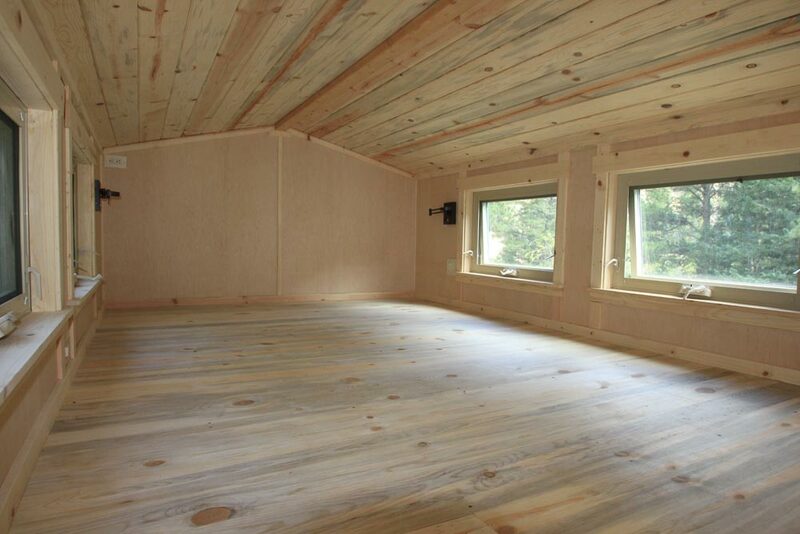 Beetle kill pine is also used for the loft flooring.